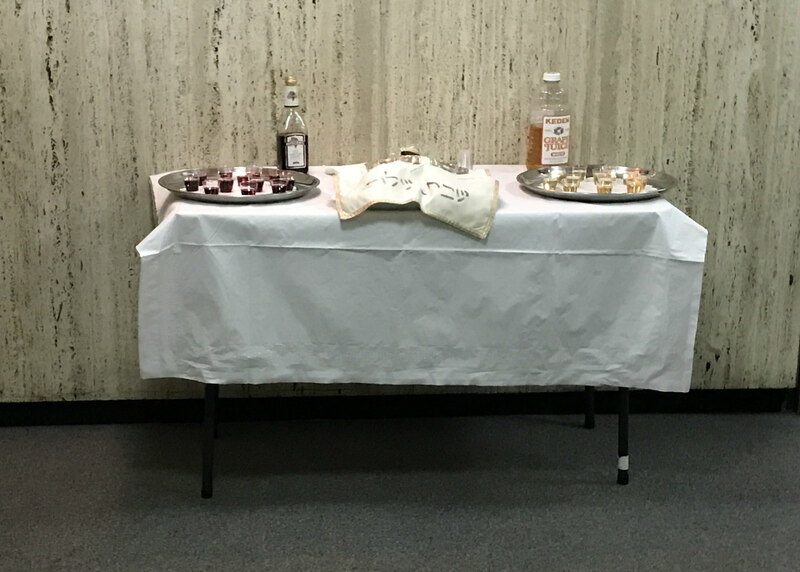 Back in January, our minyan was so sad when you abruptly stopped being part of our Shabbat minhag so we could instead go downstairs to the sanctuary at the end of our chapel service and greet Shaaray Tefila’s newest b’nai mitzvah and their families. 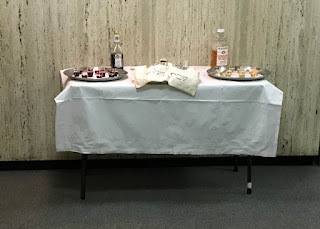 We missed the Manischewitz (yes, it’s true! ), our schmoozing, and linking up to touch someone who was touching the challah before we recited haMotzi. Without these rituals that we all know and love, our Shabbat felt incomplete and…a little bit empty. Now, we once again get to spend time with you each week and – if we want – also go downstairs to join the other part of the synagogue community. It helps to have a reserved row in the sanctuary, where we can sit until it’s time to ascend the bimah. And, it seems we’ve already started our own “downstairs minhag,” pointing out to each other young girls’ dresses whose hemlines are, as my grandmother would say, “up to her pupik,” and so tight around they can take only teeny-tiny steps. While we wait, it’s also interesting to see the families’ color choices for the yarmulkes. Having always enjoyed “assigning” names to particular hues, I dubbed yesterday’s yarmulkes “Shrek green,” with no malice intended. I call ’em like I see ’em -- and I love Shrek! In any event, it’s nice to have you back and perhaps, with practice, we’ll get as comfortable with the downstairs part of our Shabbat as we are with the upstairs part.